FindItMore | How many youngsters do you see reading a paperback book these days? Although the habit of reading among this generation is a surprise in itself, most of them prefer e-books to printed ones. That is the exact scenario of the print media when it comes to marketing. With digital marketing taking over the conventional marketing approaches, the future of print is at stake. Online marketing has proven to be more effective and responsive, and that is precisely why marketers are retracting their funds from print and investing more in digital channels. In today’s world, emails have overtaken direct mails, and our inboxes have replaced the mailboxes outside our homes. So, if you are wondering what indeed the future of the print media holds in the 21st century, here is everything to answer your query. If you have the following questions making rounds in your mind, let me help you with the answers. Is print media nearing extinction? Why is Print Media a bad option in this era of digitalisation? Why cannot we replace Print Media completely? When was the last time that you flipped through the newspaper? Or maybe saw a guy standing at the corner of the street giving out flyers? Seems like a distant dream today, right? Since we are becoming more and more digitalised, the value of print is going down at an alarming rate. Why? It is largely due to the fact that digital marketing comes with a host of benefits for a business. Not only is digital advertising more cost-effective, but it is also more engaging and flexible. That is precisely why most print houses are coming up with e-papers and a virtual option to be able to stay in the race. As for indigenous marketers, they know the value and indispensability of print in the world of advertising. So, they are taking the value of print and integrating it into the digital spectrum to enhance the outcome. Millennial and conventionalists are trying to sit together to understand how to blend both print and digital to make it more relevant for the users. WHY IS PRINT MEDIA A BAD OPTION IN THIS ERA OF DIGITALIZATION? If you want to send across a message to someone or send a plea requesting for urgent help, what medium would you prefer? Wouldn’t you rather send a mail than a postcard? So, you get the hint, right? We are in a world that is too fast-paced. With our busy lifestyles, we barely have the time to wait patiently for a letter to reach someone in a week when we can simply send a mail across any corner of globe just with a click. Similarly, marketers prefer digital marketing over print marketing due to its fast service and quick response. Adding to this are the pressing environmental issues. With the world becoming more aware of the environment, tree-felling is a prohibition already. Since the primary source of paper is wood and the fact that recycled paper is too costly, newspapers and magazines will soon go off the racks. Here are some more reasons why print media is considered a bad option in today’s technology-driven world. According to Courtney Dale, “Paper does not provide the features that most of the current trends in advertising depend on.” Paper is inconvenient, wasteful and the worst of it is the inflexible and unchangeable nature. Consumers these days prefer engaging in more immersive advertisements that are vivid and have high-end dynamic appeal. This is one of the major drawbacks of the print media and the reason why most marketers consider it to be an obsolete medium. A survey found out that Print lacks the power to engage the customers whereas online advertising, on the other hand, can be more interactive and gives the consumer a scope to engage with a brand. One major factor why most businesses are chucking Print and opting for Digital is the time taken for delivery. Not only do print advertisements take more time in output, but it also does not come with the feature of flexibility. From editing contents to deleting the unnecessary ones, digital media is more dynamic, and it will take a digital strategist a few minutes to alter the published ad. Print media, however, does not come with the option of redesigning after publishing. Having said that, I must also say that research has shown how online and print media marketing still attract the same number of customers. Moreover, after a brand reaches its point of saturation, it is only print that has the power to re-market a brand and fetch more buyers. Although the scope of advertisement has changed with the advent of social media, marketing experts prefer to use the print alongside digital marketing. With the print technology evolving with time, brands are once again making a comeback in the field of using printed mediums for their consumers. When asked whether print should be forsaken altogether, many clients confirmed that they still prefer the print medium for advertising over digital believing as they find it to be more creative. Some of them also iterate that print is way more personal than the digital advertisements due to its tangibility. Below are the reasons which explain why Print is here to stay! Print helps a brand to maintain physical contact with their customers, such as retail store or at an event. If your business deals in medical products, it is more likely that your target audience will be older people. If such is the case, you cannot expect the old generation to get used to the various social media platforms, can you? You will have to go old school and use print to approach them. For some weird reason, we are at times skeptical about online ads. Luxury customers still prefer glossy magazines and official publications over online blogs and other articles. Basically, even in this age of digitalisation, print advertisement helps you add more value to your brand and gives your presence a boost. When you ask whether the future of print media is at risk or not, the answer is a clear NO. If you ask me, the trick is in striking a balance between digital and print to achieve a better reach. 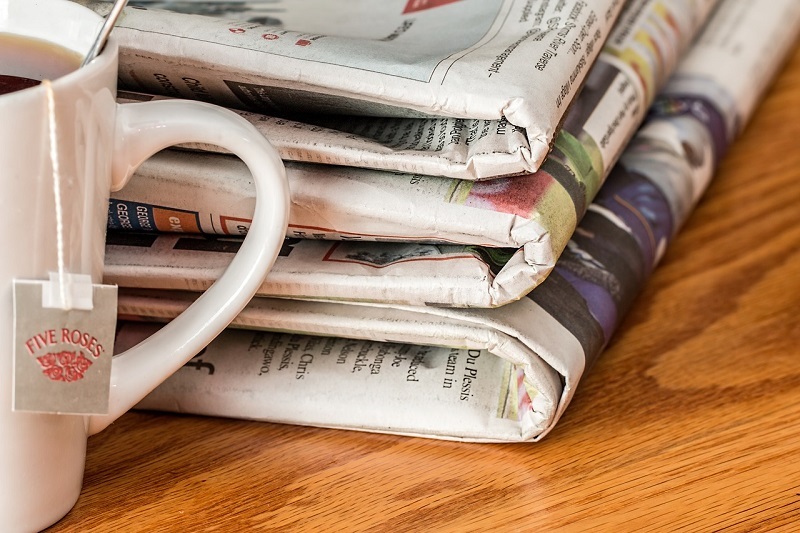 Print media is in a state of evolution, and you must find new ways to re-engage your customers. I can vouch and say that with the right marketing mix (using both online and offline), you are bound to get a greater reach among your consumers. The print medium is our roots, and we certainly should never forget that. A peaceful co-existence of both print and a digital medium is what we are looking for. So what are you waiting for? Go and blend print into your online marketing strategy today and see how it works wonders for your brand! PREVIOUS POST Previous post: How Can DeVAP Air Conditioning Add New Dimensions To The Residential AC Industry?